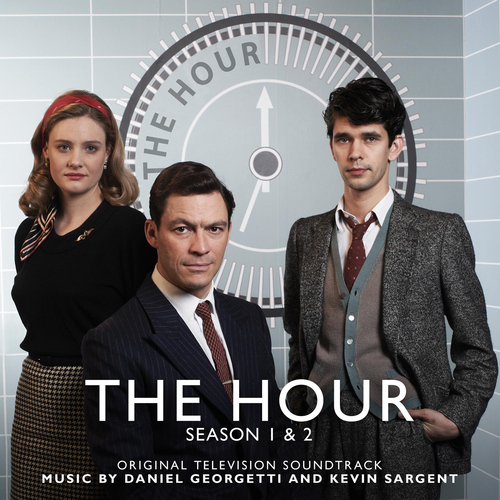 Daniel Giorgetti and Kevin Sargent’s soundtrack to Abi Morgan's highly acclaimed BBC TV newsroom drama series set in the Fifties. With title music inspired by ticking clocks, 50s cool and the chimes of Big Ben the score is a landscape of classy jazz arrangement which brilliantly evoke the era. Season 1 features music by Daniel Giorgetti and season 2 by Kevin Sargent. Giorgetti studied composition at the Royal College Of Music and past work includes The Somme, The Last Days Of The Raj and Foyle's War. Sargent was a member of the influential dance-rock band Thrashing Doves before becoming a media composer on projects such as We'll Take Manhattan and an Ivor Novello nominated score for A Waste Of Time. Beginning in 1956, The Hour captured perfectly the era of television news as current affairs programmes expanded with a global reach, adding to the storyline a veneer of mystery and intrigue behind the scenes. The series was nominated for BAFTA and Golden Globe Awards. Kevin Sargent - Where's Hector?